Identifying specific skill deficits is the first step educators take when they attempt to design appropriate instruction for a child diagnosed with learning disabilities in basic math or applied math. Special education teachers typically use standardized diagnostic assessment, observations, and analysis of student work to identify specific areas of weakness. Teachers then develop instruction and select appropriate strategies. Are you concerned that your child might have a learning disability in math? Speak with your child's teacher, principal or school counselor if she has any of the signs of math learning disabilities covered in this review. Children with learning disabilities in math may have difficulty with remembering math facts, steps in problem-solving, complex rules and formulas. They may struggle to understand the meaning of math facts, operations, and formulas. Such children also tend to struggle to solve problems quickly and efficiently or focus attention on details and accuracy. They might have difficulty mentally computing answers and fail to understand math terms. 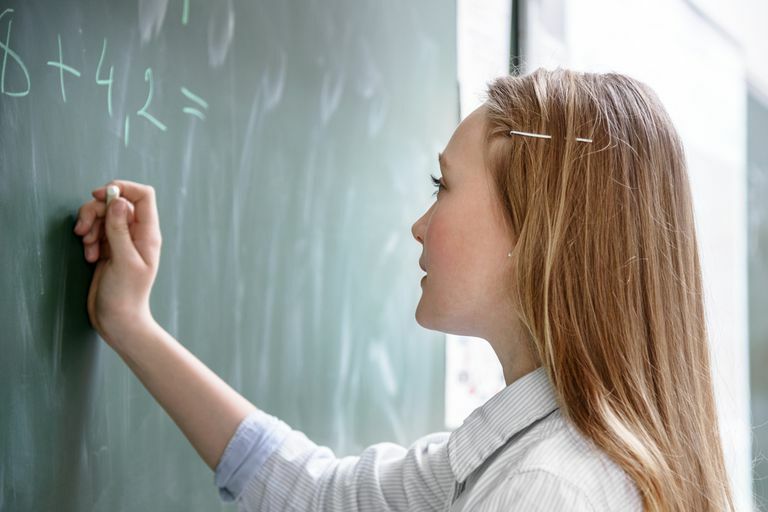 Students with a learning disability in applied math, in particular, may fail to understand why problem-solving steps are needed and how rules and formulas affect numbers and the problem-solving process. As a result of this, they may get lost in the problem-solving process and find themselves unable to apply math skills in new problem-solving situations. Remembering and following multi-step instructions may prove especially challenging for these children. In some cases, they might make errors while problem-solving due to poor handwriting. They may also be unable to make logical leaps in problem-solving based on previous learning or experience the inability to find the important information in a word problem. Choosing the right problem-solving strategy to correctly solve word problems will stump these children as well. While their peers may be able to to find errors in their own work or to identify mistakes they made in solving the problem, children with learning disabilities in applied math will find it impossible or painstaking to do so. Parents and teachers may notice the student's struggles while assessing his work or may hear him directly mentioning such problems. Some students with learning disabilities in math may act out to avoid doing math work. If a normally well-behaved child is acting out in math class, a learning disability may be the cause. Some students with disabilities won't act out but will avoid math class by feigning sickness or withdrawing from the teacher or their peers in class. When you observe these problems in your child's work, share the information with his teachers to help develop appropriate instructional strategies that target your child's specific needs. You can also ask your child where he feels he struggles most with math and request that he be evaluated. If you suspect that your child has a learning disability in either basic or applied math, consult a school faculty member at once. Remember that early intervention is key. Rather than ignoring the problem, it's best to address it immediately to prevent it from taking a toll on your child's grades and self-esteem.